For those still looking for the perfect Christmas gift, the online beauty company TheBeautyPlace.com is featuring beauty gifts for every budget this 2013 holiday season. 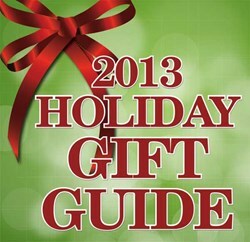 With just a few weeks left until Christmas, TheBeautyPlace.com’s 2013 Holiday Gift Guide is ideal for last-minute shopping, saving shoppers time and money. They will find hair care treatments, cosmetics, styling tools, sets and much more at incredible prices from Leading Brands. Amika 1.25’’ Ceramic Styler is a 100% solid professional ceramic flat iron that straightens, curls, and creates many different styles with one styling tool, listed for only $73.95 in the Holiday Gift Guide. Far infrared technology and the highest quality ceramic make this styler much gentler on hair than conventional flat irons and makes a fabulous Christmas gift, at TheBeautyPlace.com. The Clarisonic Mia 2 Skin Cleansing System sells for just $119.99. The Mia 2 cleans the face six times better than if one would wash it by hand and gently massages away impurities trapped within pores. The Mia 2 features two speeds, one minute pulsing T-timer, and a protective travel case for on-the-go sonic cleansing. Gift sets from TheBeautyPlace.com include products from Amika, Macadamia, Murad, Peter Thomas Roth, Tigi Cosmetics and many more. TheBeautyPlace.com knows that the littlest presents can be the most fun on Christmas so be sure to head to their stocking stuffers page under the Gift Guide to make sure all stocking are hung and stuffed with care. TheBeautyPlace.com is a leading online company of “top brands at affordable prices.” From skin care to hair care and everything beauty, TheBeautyPlace.com strives to offer clients and prospective client’s excellent customer service and fast shipping of beauty products right to your door.